The Building. Buy at Amazon. This chronicle of a city building and the people whose lives center on it explores the collective psychic memory a landmark leaves behind when it is destroyed. The Building is both a ghost story and a testament to the best human qualities; a melancholy look at how we treat our past and a robust affirmation of life. 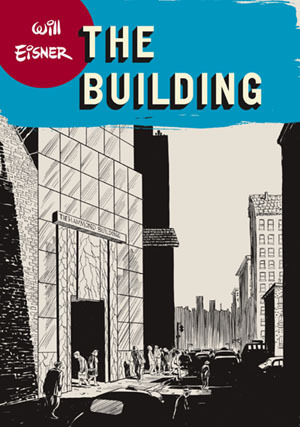 Eisner wrote of the book: "As I grew older and accumulated memories, I came to feel more keenly about the disappearance of people and landmarks. Especially troubling to me were the callous removal of buildings. I felt that, somehow, they had a kind of soul." First published in 1987 by Kitchen Sink Press, the book was reissued as part of The Will Eisner Library imprint by DC Comics. 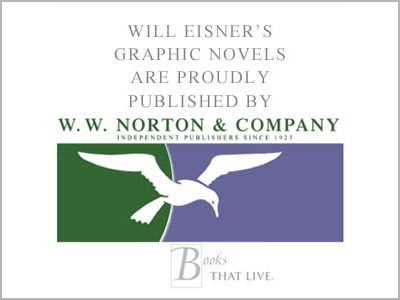 The book forms part of the 2006 hardcover collection Will Eisner's New York: Life in the Big City published by W.W. Norton, together with New York: the Big City, City People Notebook and Invisible People.